CLEVELAND (Oct. 9, 2017) – On Tuesday, Oct. 10, the Hispanic Business Center of the Northeast Ohio Hispanic Chamber of Commerce, the Julia de Burgos Cultural Arts Center and the Hispanic Alliance will host a phone bank with WEWS News 5 to raise funds for Puerto Rico recovery efforts. On the afternoon of the phone bank, from 4- 6:30 p.m., Greater Cleveland viewers can call 1-800-658-5370 to donate to Cleveland For Puerto Rico Relief Efforts. 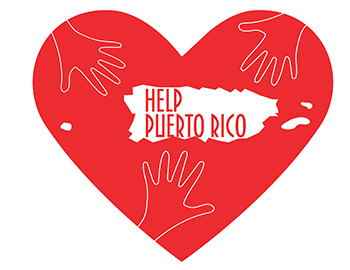 All donations will be collected and transferred directly to the Puerto Rico Community Foundation (Fundación Comunitaria de Puerto Rico) and specifically designated for hurricane relief efforts in the hardest hit areas throughout the island. Viewers can also visit www.clevelandfoundation.org/puertorico to give online between now and Nov. 30. Additionally, KeyBank Foundation today announced a $25,000 grant to increase the community’s support for Puerto Rico. With this commitment, KeyBank Foundation joins the Cleveland Foundation and the Jewish Federation of Cleveland in contributing $100,000 to Cleveland For Puerto Rico Relief Efforts. The local Latino community throughout Northeast Ohio has created a collective known as Cleveland for Puerto Rico Relief Efforts in order to respond to the short- and long-term needs of the island. This collective includes faith-based, nonprofit, corporate, public and private entities joining for these humanitarian efforts. For more information on Cleveland for Puerto Rico Relief Efforts, including upcoming events, resources and the latest news, please visit www.CLE4PR.org. Established in 1914, the Cleveland Foundation is the world’s first community foundation and one of the largest today, with assets of $2.13 billion and 2016 grants of $93.6 million. Through the generosity of donors, the foundation improves the lives of residents of Cuyahoga, Lake and Geauga counties by building community endowment, addressing needs through grantmaking and providing leadership on vital issues. The foundation tackles the community’s priority areas – education and youth development, neighborhoods, health and human services, arts and culture, and economic development – and responds to the community’s needs. The Jewish Federation of Cleveland is a 110+ year old community cornerstone that aspires to leave no community member behind. Rooted in traditional Jewish values of justice (tzedek), repairing the world (tikkun olam), acts of loving kindness (gemilut hesed), and Jewish peoplehood (klal yisrael), we commit our values into action every day. By honoring and respecting those who have come before us, and paving the way for those who will come after, we exist to build a better world and care for those who share it. We are the only Jewish organization that considers the needs of our community as a whole and plans for its future.